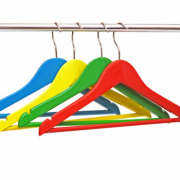 Using Color to Dress for Success For Women - Find out how! Can you influence your company’s professional dress code? Most articles about dress for success for women are either interview tips for women on appropriate professional dress code or advice on how to project executive presence (Want to find out how? Take this Executive Presence Quiz). Yet in an increasingly multicultural workforce, what does it mean to dress for success? Whose professional dress code are we all following? If the “inclusion” side of the “diversity and inclusion” effort is to succeed, workplaces will need to become more accepting of other cultures’ version of dress for success. In other words, multicultural employees must start influencing what dress for success for women looks like in a 21st century work environment and not only be influenced by it. It’s a fact that the first thing anyone notices about you is not only the color of your skin but also the color of your clothes. 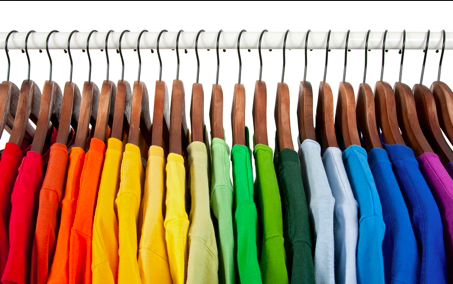 Colors have a physical and psychological impact both on the wearer and on others. So it’s important to understand the subconscious messages you might be –unwillingly- sending out. The following section was adapted from Colour Affects, a London-based company specialized in color psychology and its effect on people. The chart below focuses on color’s impact on people regardless of their culture, and not color symbolism (“the conscious associations that we are conditioned to make”). You’ll notice that there are positive and negative aspects to each color. Being aware of both will help you make the right choice for the right situation. Positive: courage, strength, energy. Negative: Defiance, aggression, strain. BLUE – Positive: Intelligence, communication, trust, efficiency, serenity. Negative: Coldness, aloofness, lack of emotion. Positive: Optimism, confidence, friendliness, creativeness. Negative: Irrationality, fear, emotional fragility, depression. Positive: Harmony, balance, refreshment, reassurance, peace. Negative: Boredom, stagnation, blandness. VIOLET – Positive: Vision, luxury, authenticity, truth, quality. Negative: Introversion, decadence, inferiority. ORANGE – Positive: Warmth, security, passion, abundance, fun. Negative: Deprivation,frustration, frivolity, immaturity. PINK – Positive: Physical tranquility, nurture, warmth, femininity, love. Negative: Inhibition,emotional claustrophobia, physical weakness. GREY – Positive: Psychological neutrality. Negative: Lack of confidence, dampness, depression,lack of energy. Positive: Sophistication, glamour, security, emotional safety, efficiency, substance. Negative: Oppression, coldness, menace, heaviness. If you love to wear bright colors, it can be intimidating to walk into a room filled with men and women dressed in black. It can feel oppressive. Likewise, showing up with a bright orange dress in such an environment might shock people not used to such displays of boldness. They might make assumptions about you (that you are immature, for instance) that could affect your career opportunities. When your own take on dress for success differs substantially from what you see around you, figuring out what to wear can be daunting. The newer you are in a job, the more careful you must be. As people get to know your ideas, values, and work ethic, they will naturally become more accepting of your dressing idiosyncrasies. 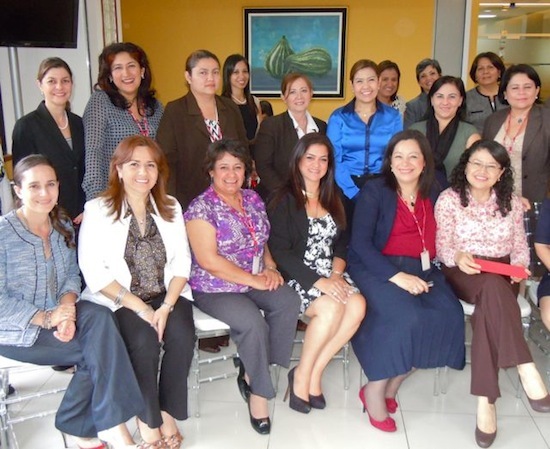 That’s the perfect time to introduce your version of dress for success for women! Should you adjust to a professional dress code that differs from your culture? The answer depends on your career goals, your organization, and the industry where you work. In more conservative industries such as banking, finance, or accounting, it’s harder to break away from the professional dress code. If you work in a more progressive industry such as technology, fashion, or publishing, you will have less trouble carrying out your own version of dress for success for women. If projecting executive presence is critical for you, you might need to adjust to the dress code favored by your industry. This means that you will have to turn down the volume on anything that clashes too much with the reigning fashion. For example, I’m partial to bright blue, but when I present to a corporate audience I choose a more subtle shade. Or I’ll carry a purse in a brighter shade of blue. My main concern is to avoid taking the attention away from my message. And here is the key. 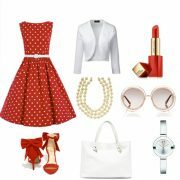 Dress for success for Women is about dressing so that people can focus on who you are beyond the clothes you wear. What makes you relevant for their teams? Why should they think of you when there’s a great opportunity? 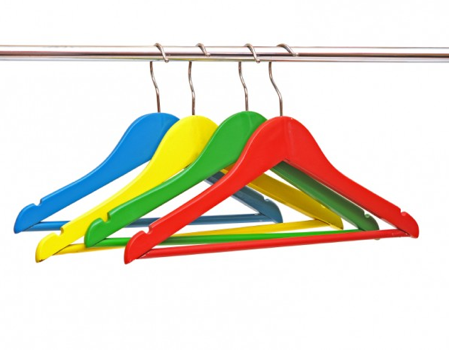 Check your closet and determine your color palette. Identify the colors that you feel most comfortable with and evaluate how appropriate they are for your work environment. If you decide that they’ll make you stand out in a less than beneficial way, consider wearing an accessory or a lighter hue of your favorite color. The RSM Signature charm allows you to make a subtle statement about your style and you can buy them at our online Shop. Wear your accessories with pride! A lot has been written about the impact that accessories have when it comes to dress for success for women in the workplace. And yes, it’s true that less is generally more. But for Latinas and other women of color, it is particularly difficult to leave our accessories behind. 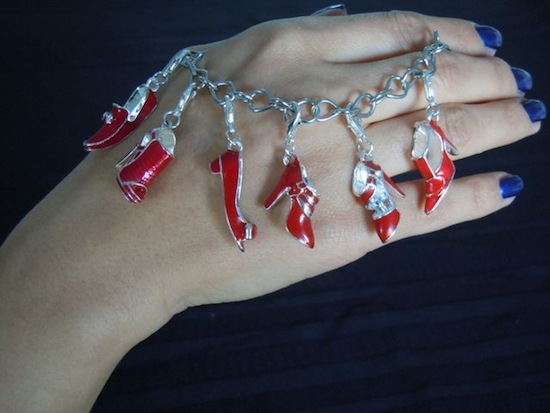 I have a huge (and I mean HUGE) collection of custom jewelry from all over the world. It’s my trademark. I use my necklaces as a way for people to start a conversation with me. But I’m aware of how distracting these pieces can be, so in certain situations I chose a smaller piece. Dress for success for women is always about what works for you and your career goals. It’s all about keeping your career goals front and center. If you are new at a company, test the waters. If you have been at your job for a while and have a more established personal brand, you can be more daring. But if you want to change things for you and for generations of women to come you need to influence the established professional dress code currently in place. You don’t need to do it all at once. Small steps go a long way in gaining acceptance. Dresses for work: 3 fashionable options that will surprise you! Combat Bullying in the Workplace in 7 Simple Steps Why are women so mean to each other? Find out! !